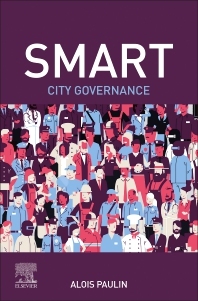 Smart City Governance examines public domain activities and services in the digital age, evaluating all facets of smart city e-governance that fosters a cohesive understanding for the emerging generation of advanced “digital natives.” Exploring the tensions between political science and jurisprudence theories with the principles of societies and their alignment with legal systems, the book examines how governance systems can translate into the digital domain, addressing both the technical and legal dimensions. It offers a model for the technological foundation of governance, discussing existing technological components. The book concludes with a section on outlooks for further research. Alois Paulin is Assistant Professor in the Faculty of Organisation Studies in Novo Mesto, Slovenia. He researches public domain governance, sustainable government information systems, and democratic collaborative decision-making, and is co-editor of Beyond Bureaucracy: Towards Sustainable Governance Informatisation (Springer, 2017) and numerous journals articles published in Advances in Intelligent and Soft Computing, Computers and Security, Journal of the Knowledge Economy, and Journal of Universal Computer Science.